Social media networks are playing an important role in all of our lives and it is becoming an essential part to stay connected with our friends and family members in this advanced world. Many people irrespective of their age group use these networks, and it gives a lot of opportunities to explore the outside world. Social media sites are popular among all the people, and it did not limit its services only by connecting the user with their friends and families. These networks are highly useful for the business professionals to promote and enhance their new business. They are providing immediate updates about the happenings all around the world, and it acts as a big platform to promote any products or services. Few most popular social networking sites are Facebook, Twitter, Instagram, Google+, Whatsapp, Facebook Messenger, and more. These sites are offering many services to its users and have a huge volume of users. Among all the sites, Facebook and Whatsapp are the most popular social media networks, and both of the sites are having more than one billion users. Facebook bought Whatsapp in February 2014 for nearly 19.3 billion US dollars, and the popular messaging app also introduced many new features for its loyal customers. After the acquisition of Whatsapp by Facebook, the Whatsapp has updated on a regular basis and obtained more revenue. It also resulted in the migration of the users to other messaging services such as Line, Telegram, and more. After this acquisition, Line announced that it have observed two million new users were signed up to their service and similarly Telegram claimed that it had observed eight million additional downloads of its application.The government of Iran also blocked the access of Whatsapp in its country, and the reason was announced that the Whatsapp obtained by the American Zionist, Mark Zuckerberg. During the acquisition, Whatsapp published a post that stated that the app would operate independently and remain to be an independent company. There was no any partnership between the two companies and therefore no any changes can be made in the core principles. It also promised that the privacy of the users would be maintained securely and users’ data will not be disclosed to any other third parties. In August 2016, Whatsapp has updated its privacy terms and policies for the first since 2012 and announced that the new policy would help the users for their businesses. In its notes, it stated that after it joined the Facebook, many new features are rolled out to the users such as Whatsapp voice calling, video calling, the end-to-end encryption and more. 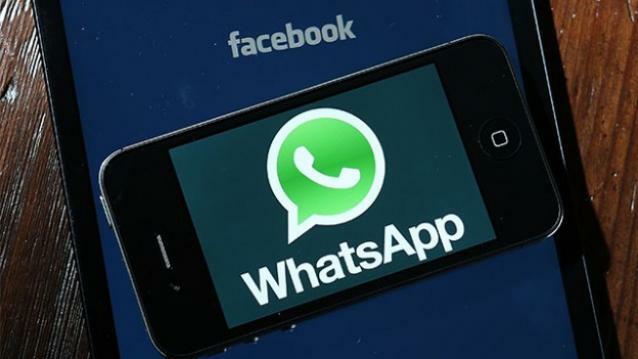 The statement also showed that the Whatsapp was going to coordinate with the Facebook and connected the users’ phone number with Facebook’s systems; hence Facebook can provide better friend suggestions to the people and also display the more relevant advertisements. There can be no any changes to the private communications, and it promised to provide simplest, fastest and high reliable user experience. It also collects the users’ e-mail id when the user communicate with their customer service and it also not assured that the collected e-mail id will be used only for the customer service purpose. The details of the device, such as operating system information, hardware model, IP address, browser information, mobile operator information that includes device identifiers and phone number.It also collects the information about the message and calls log of the user. The new policy did not place any restrictions on the sharing of data and the type of the third party with whom the collected information was shared. So, it showed that not the contact numbers only shared with the Facebook to provide targeted ads and any of the above information can also be shared with Facebook and even also with the other third parties. Anand Rajendran is CEO and Co-Founder of Zoplay, the best PHP scripts development company located in India. Zoplay is a part of Casperon Technologies a leading social and mobile development company which is developing, leading innovative and collaborative software development teams to deliver major software applications like SCIMBO – Whatsapp Clone Script. I’m a Tech Geek, Digital marketing expert, Entrepreneur, and Atheist who loves to write everything about PHP Scripts and mobile application development.